Shoḥeṭ in London in the first half of the nineteenth century. He wrote a commentary on Yoreh De'ah in four parts, which were entitled respectively "Sifte Zahab," "Adne Zahab," "Lebushe Tebu'ah," and "Lebushe Serad." 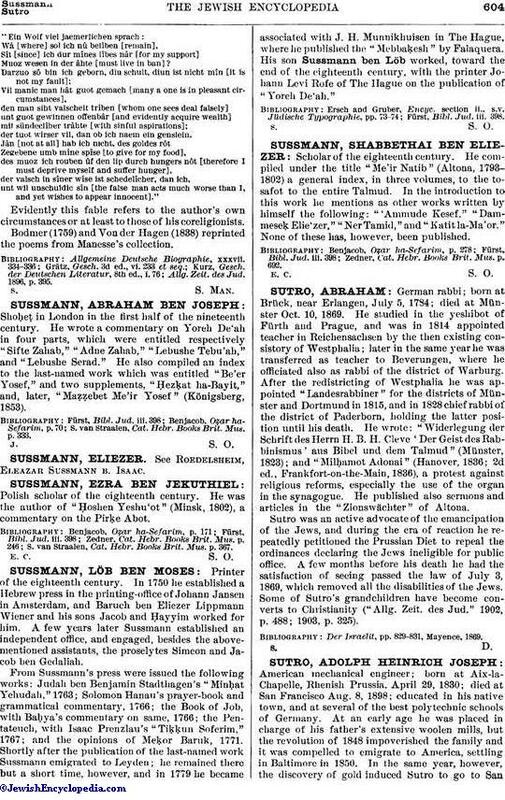 He also compiled an index to the last-named work which was entitled "Be'er Yosef," and two supplements, "Ḥezḳat ha-Bayit," and, later, "Maẓẓebet Me'ir Yosef" (Königsberg, 1853). S. van Straalen, Cat. Hebr. Books Brit. Mus. p. 333.